In Melbourne, we will often experience plenty of hot summer days. Some places near the water are able to enjoy natural cooling breezes, but for many of us, there needs to be an alternative to help us stay cool. It seems that with the current global climate change process that we are going to be experiencing even more extreme variations in temperature. And with the increasing cost of electricity, it will be important to be able to have efficient methods of cooling installed in your home. Many people are looking for alternative solutions to their cooling requirements. Some are using innovative new home designs that take advantage of natural light and ventilation to reduce heating and cooling costs. Others are trying to find a cooling solution that will be more environmentally friendly. There are people who are looking for the best way to install a new cooling system as part of the design work for their new home. Others are looking to retrofit older style houses and units that were not designed to take advantage of cooling systems. It is important to be able to identify a technology that will meet the specific needs and requirements of the space where it is to be used. There are many different types of cooling systems. As summer comes, we will often look to these to provide the solution when our living space gets a bit warmer. It is important that they are able to operate as efficiently as possible, as there can be a substantial cost associated with running a cooling system. The price of electricity keeps going up and it looks like it is going to be a while before we will see the prices going down. Choosing a system that will provide the solution you need and at the same time reduce the amount of money you need to spend to run it, will be an important consideration when making a selection. One of the popular systems that have been used for a very long time is evaporative cooling. If you have ever done any exercise that has made you sweat, made your t-shirt wet, and then felt a breeze that made you feel cold because of the dampness in your shirt, then you have experienced evaporative cooling. In its simplest form, this was the original method of cooling used by humans. The idea is very simple. It is through the process of evaporation of water that temperature is lowered. Originally the basic concept was to wet some form of cloth material that would then allow the water to evaporate. This would keep the temperature of the area around the material lower. The scientific principle is that heat is drawn out of the air to provide energy for the liquid water to be turned into water vapour. 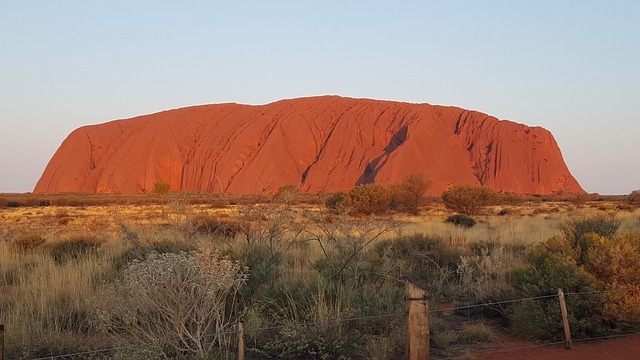 In the Australian outback, the original cooling method for those without electricity was to use a timber-framed cabinet that had the side panels made of cotton or hessian material. This material was kept wet during the day and the breeze was then able to blow through the material. Evaporation would occur, reducing the temperature, which would keep the items inside the cabinet cooler. The material also played an important role in keeping flying insects away from the food items inside. This cabinet was often known as a Coolgardie safe or cooler, as it was on the Coolgardie goldfields that the design was first developed. The evaporative coolers that we use today are much more sophisticated than this though. It is most effective in low-humidity areas, providing a natural and energy-efficient cooling method. So, when you are considering evaporative cooling, Melbourne is a suitable environment. 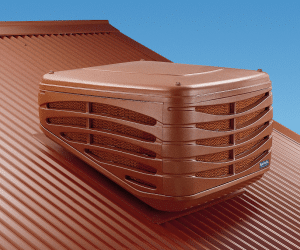 In an evaporative cooler, a pump will usually circulate water from an inbuilt reservoir onto a specially made porous cooling pad that will be able to hold the water. An electric fan will then draw air into the unit that will flow through the moistened pad. As the warmer air passes through the pad, it transfers the heat to the water which will evaporate as water vapour, which as a result reduces the temperature of the air. An important element of maintaining an efficient evaporative cooling process is to ensure that the cooling pads are kept completely saturated. It is also important to ensure that the fan and electric motor are the most suitable size so that there is an appropriate airflow through the pad and the output of cool air will meet the requirements of the environment where the cooler is being used. An increase in interest in this technology is spurring innovation in evaporative cooling design. One of the most interesting new design concepts is water-based evaporative cooling walls. These are potentially a very effective cooling technology for buildings and at the same time are able to provide additional insulation benefits that make them beneficial in the winter as well. It is well suited to use in cooling animal shelters, greenhouses, warehouses, and factories, as well as some large public spaces. People have even introduced this concept into residential accommodation, creating a design feature for their home. The efficiency of two-stage evaporative cooling systems has increased sufficiently for them to be used in environments such as Doha and Dubai, where they are often used alongside other traditional air conditioning systems to provide substantial savings. There has even been a focus on the development of small air conditioning units that will only draw relatively low amounts of energy so that they are able to be used in association with solar arrays. This just seems to make sense when you consider that in the hottest times there is likely to be plenty of sunshine to power them. There are even small evaporative cooling units that are able to sit on your work desk. 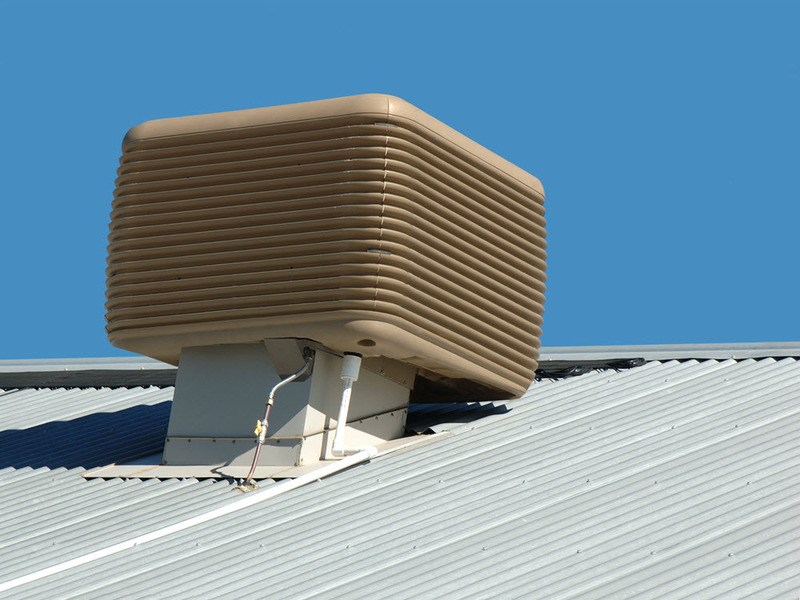 If you are considering using evaporative cooling, Advance Heating & Cooling has skilled and knowledgeable providers who will be able to offer you suitable options. Take advantage of this technology to enjoy the benefits of a cooler environment in the summer and at the same time save yourself some money. Contact us today on (03) 9310 1990 to request a quote.